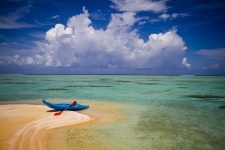 Tikehau, one of the gems of Tahiti and Her Islands, with its white and pink sand and splendid sparkling blue lagoon. 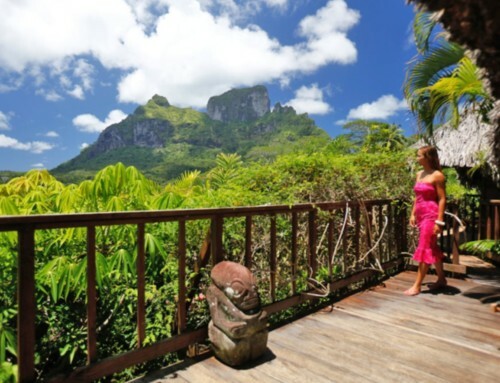 Located on a private Motu at approximately 10 minutes by boat from the port of Tikehau, the Ninamu Resort is an exquisite property offering a VIP version of a Robinson Crusoe holidays. 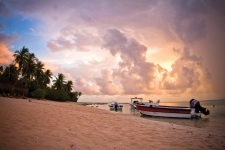 This fabulous pink sand Motu was selected for its purity and its idyllic setting. Moreover, the beauty and charm of the Ninamu Resort has undeniable assets for water sport amateurs, divers, fishermen, etc. Between the sky and sea, the Ninamu – meaning blue in Tahitian, is a symbol of the infinite, just like a real divine paradise. 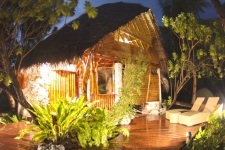 This superb and young boutique lodge was born in August 2010. Four hectares of nature and charm where Chris and Greta – the owners, have settled their 100% “natural” distinct and refine family hotel. 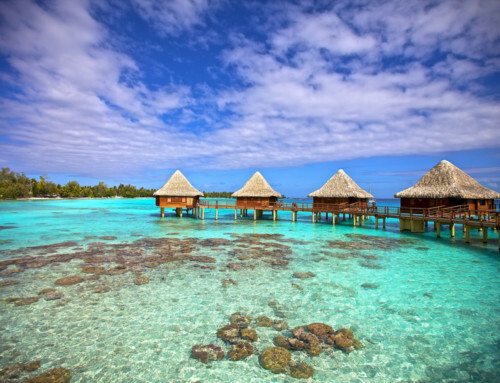 Each of the 6 “fare” (Pile dwellings – either a house or bungalow) are genuine Polynesian jewels as they have been conceived in a unique way. A subtle blend of natural Motu products and design interiors make this “fare” splendid works of art. For your intimacy, these exceptional “fare” are almost undetectable from the lagoon. Their discretion ensures that the Motu keeps all its mystery. 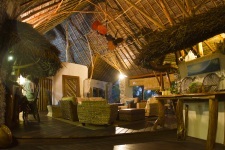 On their arrival at the Ninamu, guests will be friendly welcomed in the main room and its large terrace. This fare reflects the friendly atmosphere in a chic Polynesian environment. This area provides guests with theWifi in the restaurant and the living room. The Ninamu has also made a point of developing an ecological environment. The Ninamu was also conceived so to create a balance between the number of “fare”, the amount of waste and energy expenditure, and the amount of recycling which is necessary. 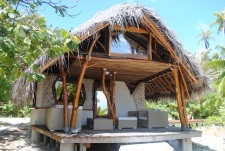 In order to keep this ecological logic and will, the Ninamu provides “bio” products from the island. The chef therefore proposes very healthy menus, containing fish, “bio” vegetables and fruit, and real homemade delights. 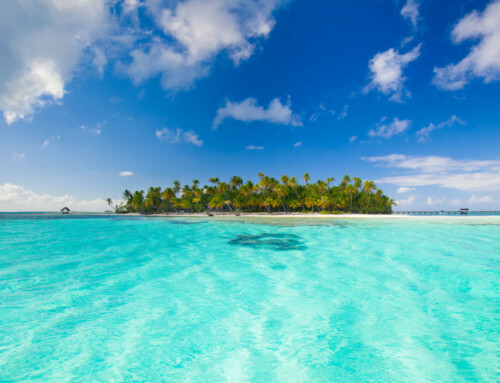 Charm in the heart of a respected environment … the Ninamu Resort in Tikehau reveals the secrets to happiness, the simplicity of life in paradise. 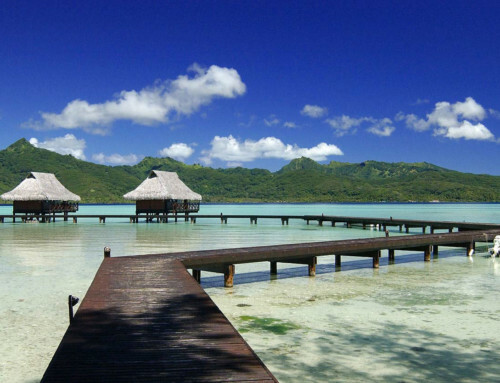 Guests will be marvelled by this journey through a thousand Polynesian colours.